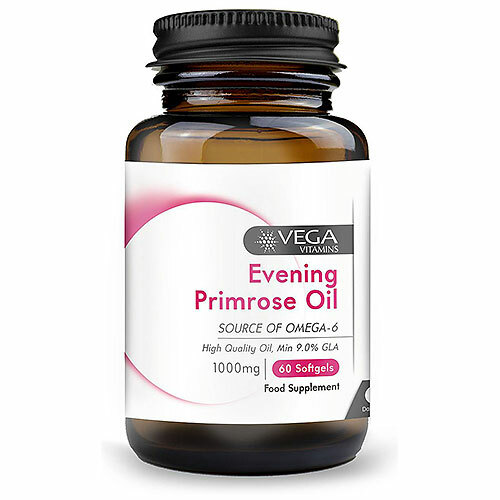 Vega Vitamins Evening Primrose Oil provides a natural source of omega-6 essential fatty acid, gamma-linolenic acid (GLA), making it a great choice for those who wish to boost their omega-6 intake. Evening Primrose Oil (Oenothera biennis), Softgel Shell (Bovine Gelatin, Glycerol), Vitamin E (D-Alpha Tocopheryl Acetate). As a food supplement for adults and children over 6 years of age, take 1-2 softgels daily with food or as directed by a healthcare professional. Do not exceed recommended stated dose. 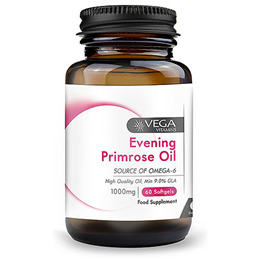 Below are reviews of Vega Vitamins Evening Primrose Oil - 60 x 1000mg Softgels by bodykind customers. If you have tried this product we'd love to hear what you think so please leave a review.